Hope everybody is doing well. 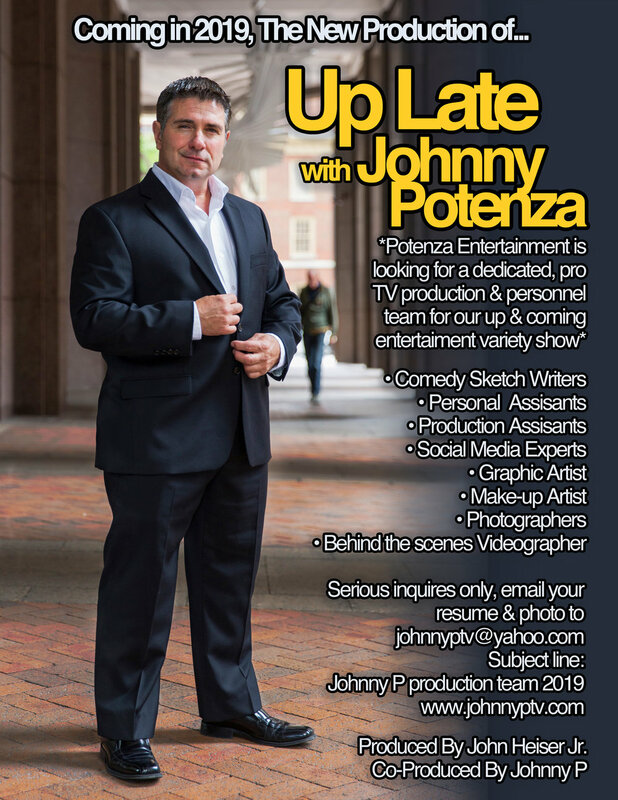 It's time to go public & let everyone know that I will be back in action with our new production of "Up Late with Johnny Potenza" in the fall of 2019 produced by John Heiser Jr. 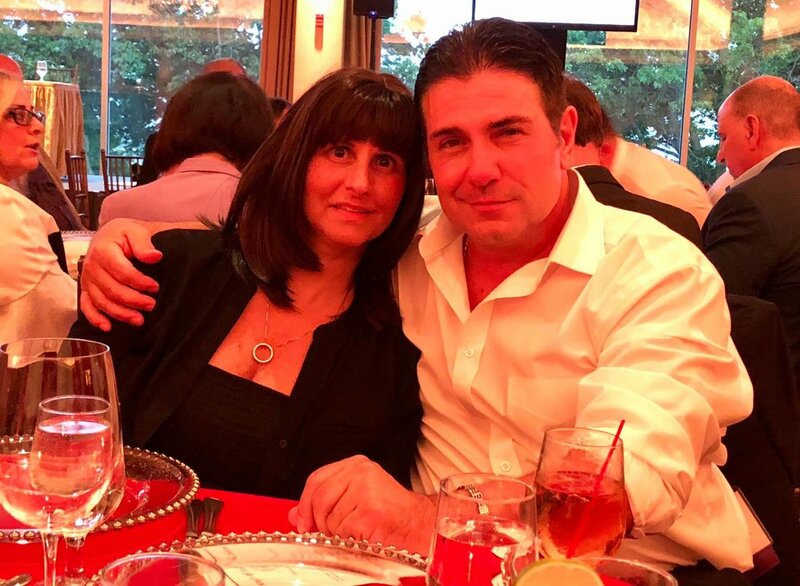 I just want to say a special thank you from the heart to all my family & friend's who were there for me & the family during our devastating time from the loss of our Michele. I'm blessed to have you all in my life. Michele will be forever in my heart & in yours, she would want me to pick myself up, accomplish my dreams & take this to the big time so here we go. We will keep you posted. The black drum sticks i got from Peter criss (original KIss drummer) at the Kiss Farewell tour at the Meadowlands arena June 27, 2000, I had a all access working pass that allowed me go backstage & any where i wanted to roll.. My good friend Eddie Kanan always hooked me up, we even filmed footage from behind the scenes of a Kiss concert, i used that footage for my first cable show back in the day called “The Gangsters of Rock”, the funny thing is I won 2 Nova Awards from Staten Island Community Television for that show. I got to play Peter Criss’s drums on the kiss stage, it was one of the best nights one my life. A little while after that we got to hang & talk with Peter Criss & he took a photo with me & my 2 friends Tommy McCoy & Johnny Feedback than he gave me his a pair personial sticks. Late Night “Flashback” photo from last years 2017 Christmas Show featuring my very special guest from the hbo hit show “The Sopranos” actor, Director Dan Grimaldi. To watch this show log on to Vimeo.com & seach Late Night with Johnny P Episode #116. November 17, 2918 come support this cool event, myself & my partner in crime reality star from the MTV show "Jersey Shore" Uncle Nino will be on the main stage for a sitdown interview right in the middle of time Square. I'm writing with the heavyest heart I ever had to carry. I needed to let you all know that my fiance who is the love of my life & my best friend has passed away early this afernoon after a 5 year battle with breast cancer. Speaking for myself & our family we are devastated & heartbroken over the loss of Michele who was a one of a kind woman with the biggest & most honest heart out of any woman we ever knew. Anyone who had the pleasure of having Michele as a family member or friend knew she was a special woman. We will miss her more than words will say. Untill we met again my sweet bear, I will carry you in my heart forever. 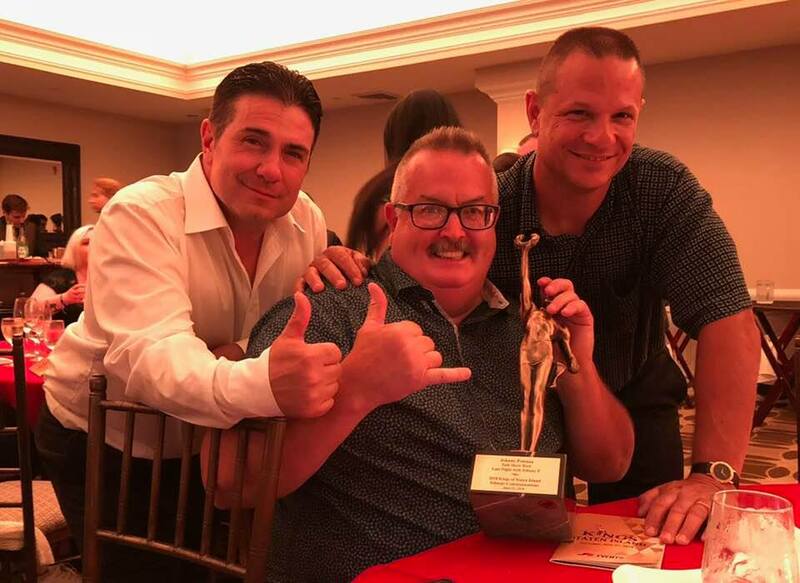 Come support our past late night guiest & friend Uncle Frank for the signing of his new book "Carmine The Snake"
Covering the Kreischer Mansion summer concerts on Staten Island August 4, 2018 presented by Rick Risp Productions. Great event & all the bands sounded great. We didn't get to do a lot of interviews do to the heat it was 90 degrees hot & humid. CTV's own Terry Converse filmed most of the event & will be airing on public access tv in the fall of 2018. 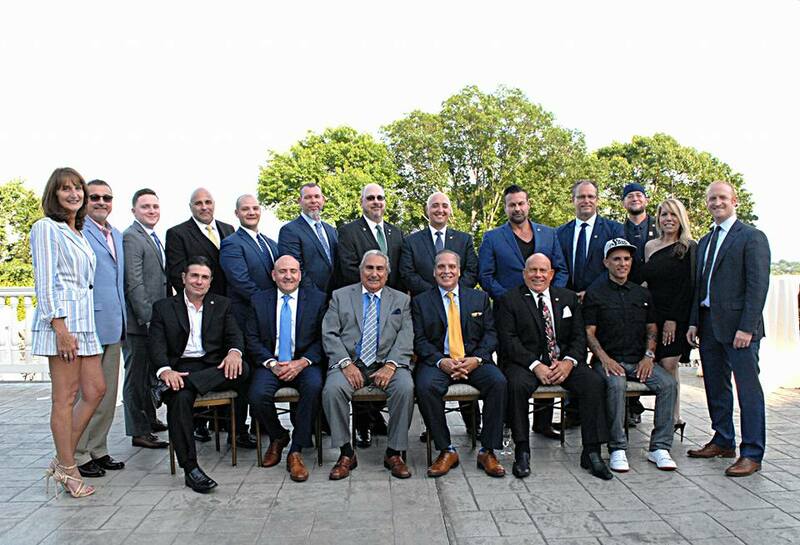 All involved in the photo below (L-R) Tony Hanson of Fenix Studio's, Johnny P, Rick Risp Productions & Brian owner of the Kreisher Mansion. Late Night "Flashback" photo with very special guest Rock n' Roll Hall of Famer Marky Ramone drummer of the legendary punk rock band the Ramones. 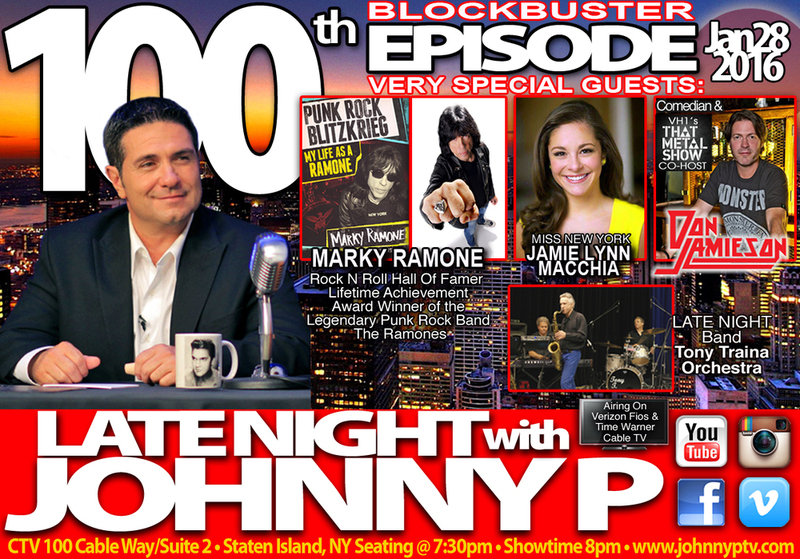 Marky appeared on our special 100th episode on January 28, 2016. This is a never seen photo of Marky playing our late night bands drums during sound check. 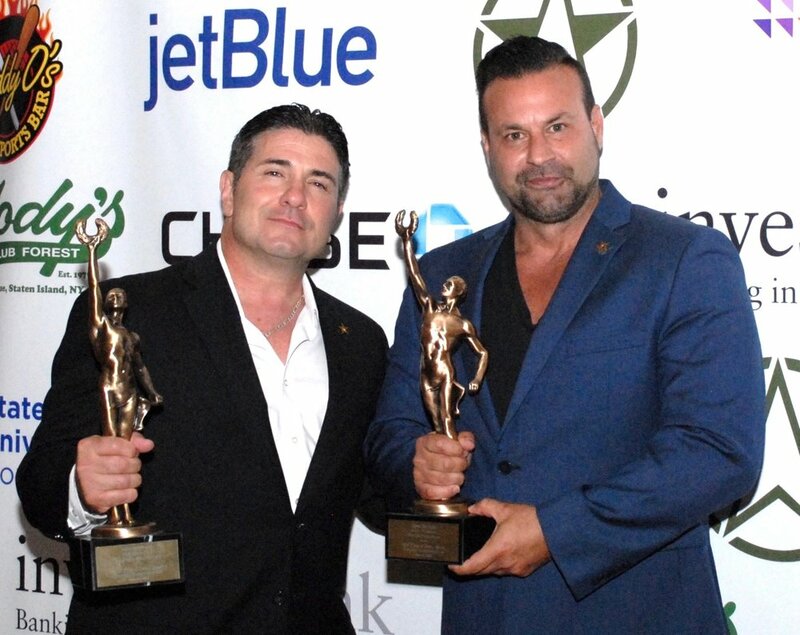 Johnny potenza presented with "The King's of Staten Island Award June 21, 2018. Hello family & friends, I'm checking in with everyone to let you all know that I'm enjoying my time off from the show just chilling, relaxing & working behind the scenes in the entertainment business. 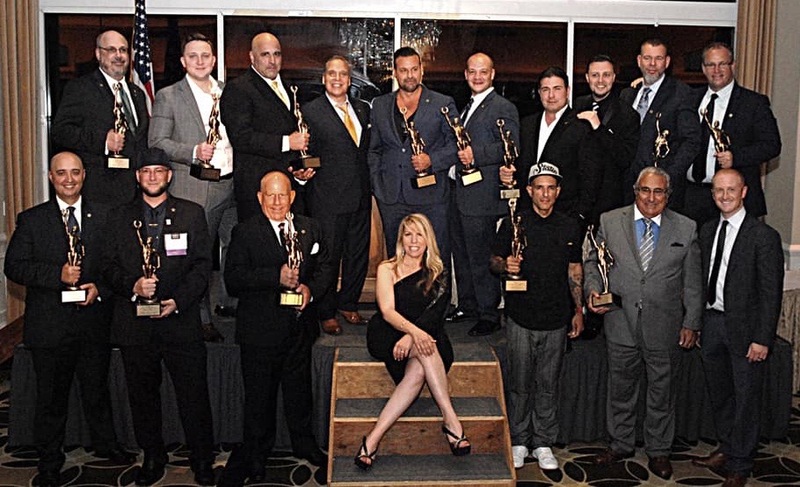 On June 21, 2018 I was honored to be presented with "The King's of Staten Island" award at the Richmond County Country Club. That was a great night that I shared with family & friends. "Up Late with Johnny Potenza"
Photo by Jo Cavallo ©2018 Potenza Entertainment. NEW writeup on SIlive.com Jan.15, 2018. A fresh take on 'Late Night With Johnny P' in store for 2018. 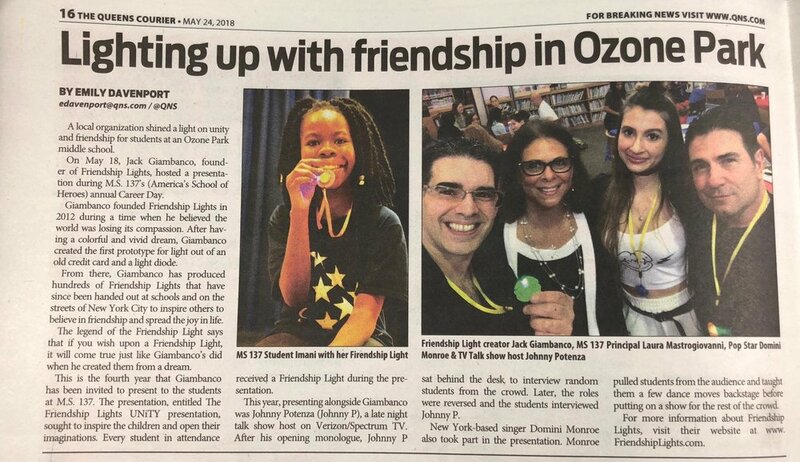 Special thankyou to our #1 reporter at The Staten Island Advance Carol Ann Benanti. Thankyou for all the years of support. Johnny P jamming with original rock band "Black Water Rising" live on the late night wth johnny P "Series Finale"
Happy New Year 2018 to all our family & friends. Our series finale will start airing the 4th week on January 2018, we will keep you posted. 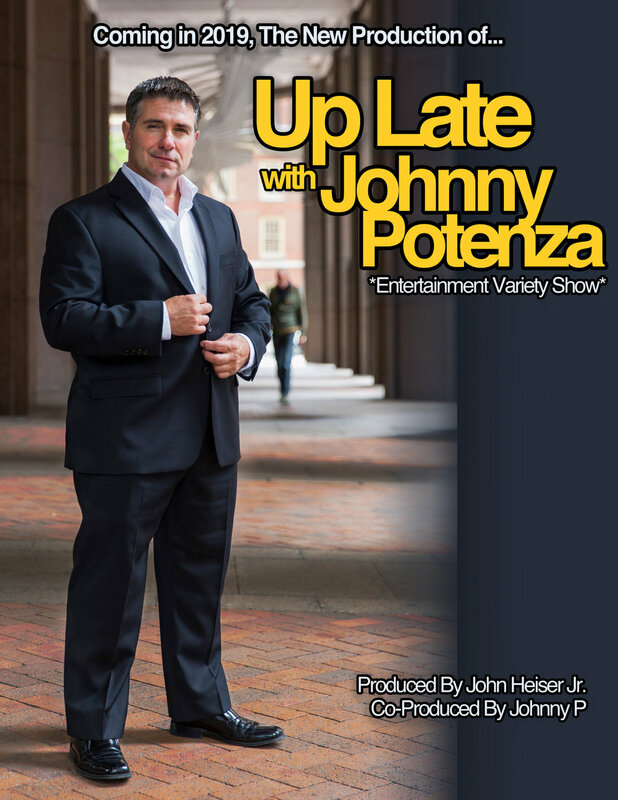 Thankyou all to all the years of support, be back in production Fall 2018 with my new show "Up Late With Johnny Potenza"
Checkout Decembers issue of TalentRaters Magazine 2 page writeup on The Late Night With Johnny P Show. Order your copy on talentraters.com! 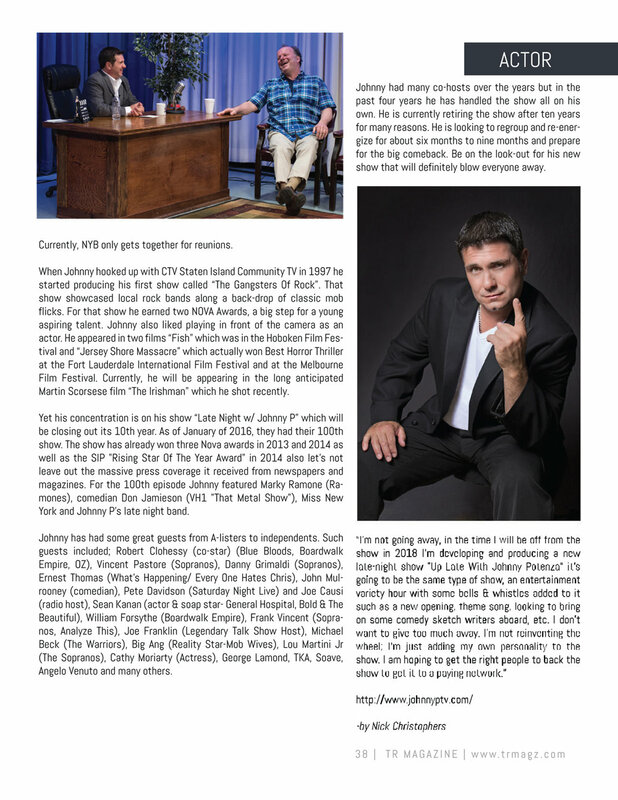 Promo below is a Blog for the magazine, the full writeup is in the TR Magazine on left of the blog. Please suppport this magazine, it's the future for your local & national talent This months issue has New Yorks own actor Vinny Vella on the cover! Free Late Night With Johnny P collectable "Friendship Lights" for all our guest & studio audience at the series finale show. 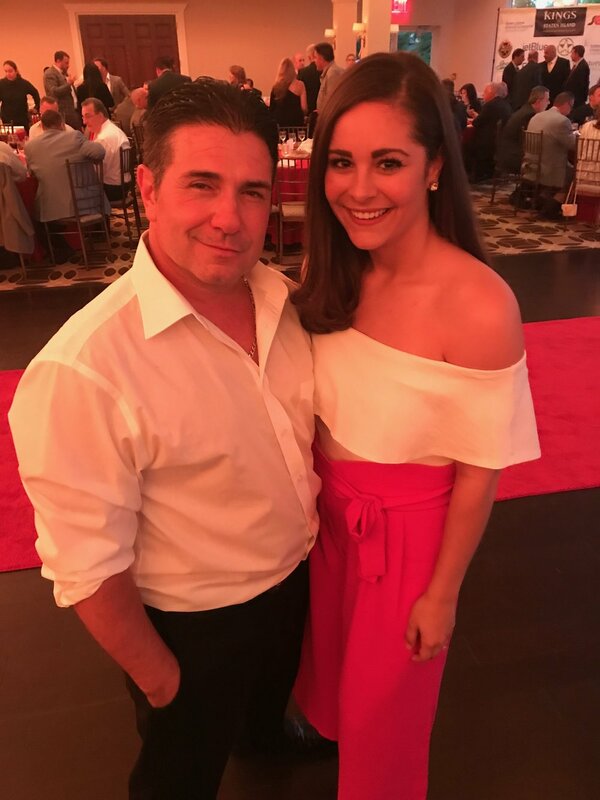 Had a great time working on Martin Scorsese's new film "The Irishman" Starring Robert Deniro, Al Pacino, Joe Pesci, Ray Ramono, Katherine Narducci & many other great actors & talent. I want to say a special thankyou to Ellen Lewis & her amazing staff. Have a great holiday season & God Bless. Late Night With Johnny P Show Flashback with the one & only actor William Forsythe for a one on one sit down interview on his past & present life as an actor in the entertainment business. Live Feb.26, 2015 @Staten Island Community Television. 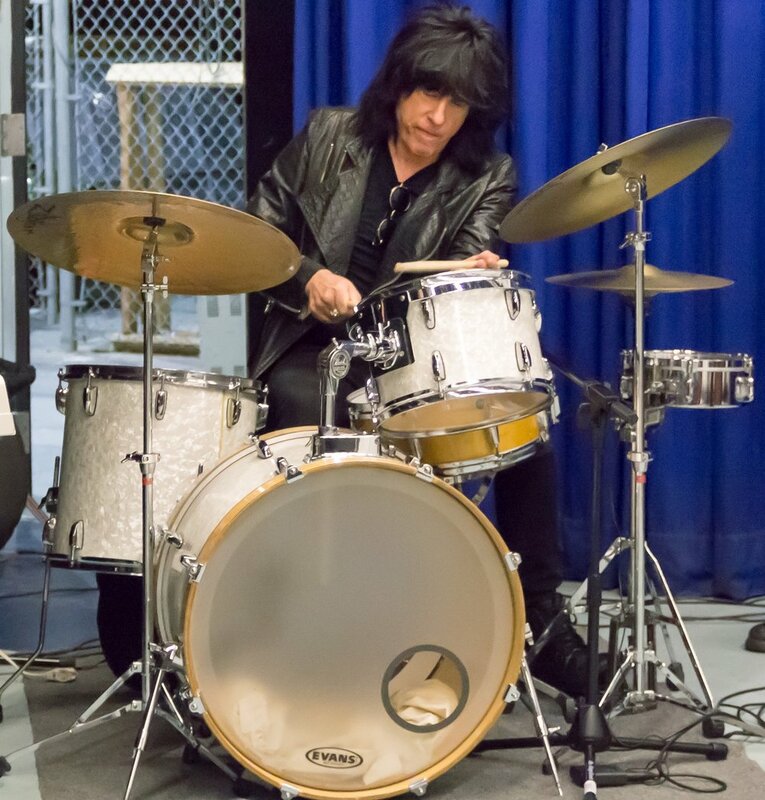 Johnny P on drums with Killer Joe & The Late Night Band with special guest Nick Ferraro "The Philly Elvis" live on Late Night With Johnny P August 9, 2017. Me & Mark Montague go back a long time, we first meet on May 16, 1992 when my old band Barrage opened for Peter Criss @ The Rock Palace on Staten Island & from then on we became good friends. Barrage opened for Peter Criss agian Nov.19, 1994 @ The Wave on Staten Island. As time went on I formed another band called NYB "None Of Your Business" Produced by Richie Scarlet from The Ace Frehley Band. In 1997-98 I flew down to LA to meet with Mark to write some songs for the future NYB CD & in 1999 we flew Mark to Staten Island NY to record bass tracks in the recording studio for the NYB futre CD. 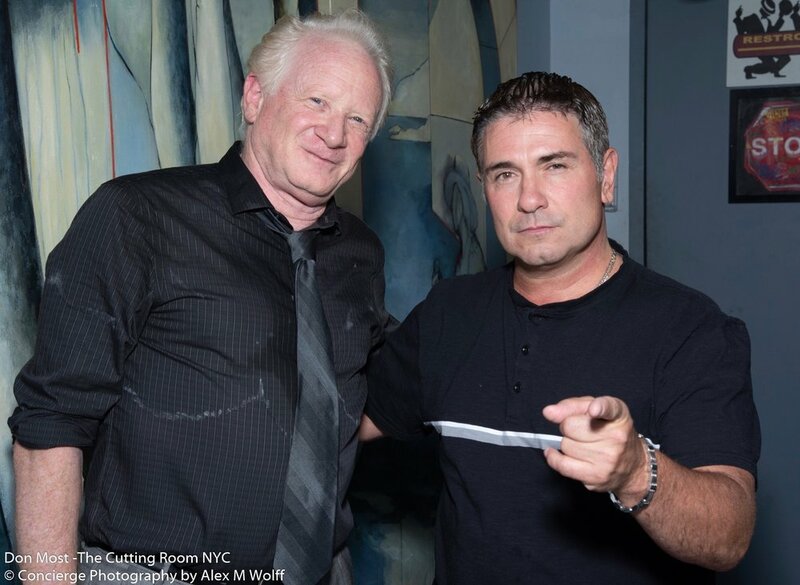 whle Mark was in town we did a few shows together featuring Mark Montague, Richie Scarlet & from NYB Johnny P & Doug Palmer, we called those shows the NYB "The All Star LIneup". The photos above were from that time in 1999 during our recording sessions. I would like to say special thankyou to Mark for having us in a part of the book, we were very happy he did. I have so many storys on my life in the music business you will just have to wait for my future book that i'm working on, no release date its a work in progress, but If i had to guest sometime in 2019-2020. 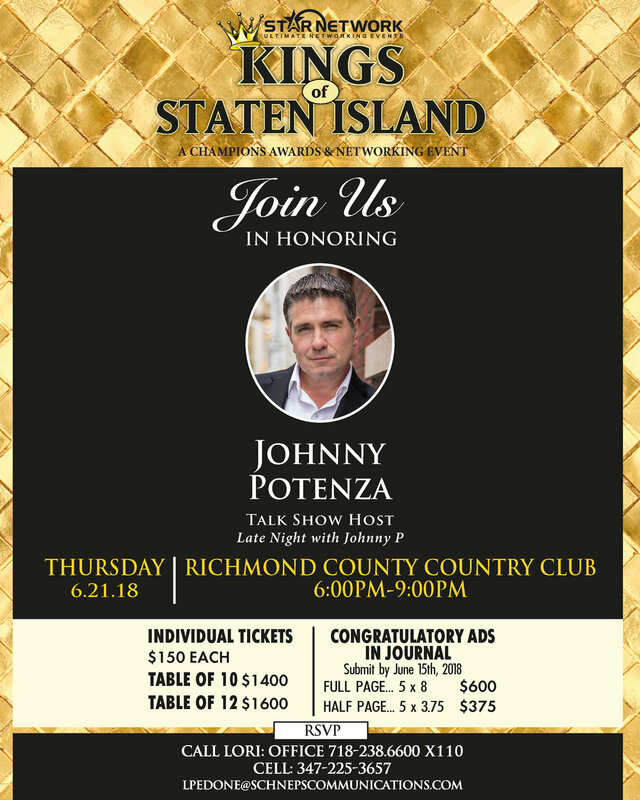 Somehow it feels "right" that jack-of-all-trades Johnny Potenza grew up the son of a firefighter-slash-old-time plasterer. 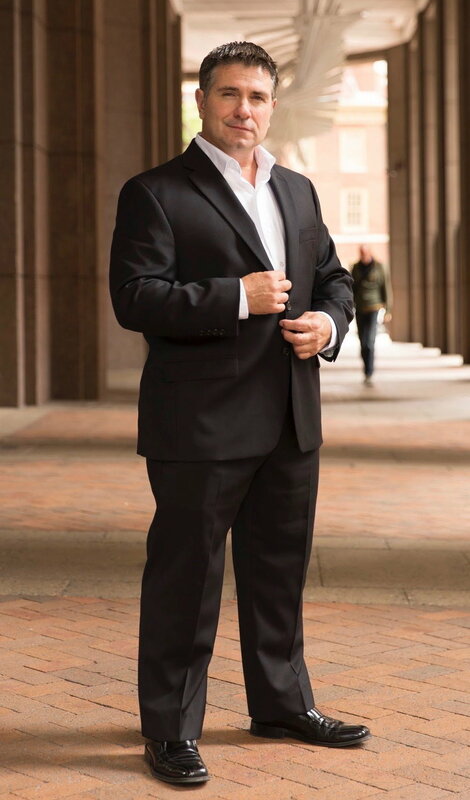 After all, this Brooklyn-born and Staten Island- raised Renaissance Man has spent his life pursuing multiple paths, too, logging time as a musician, a TV producer and an on-camera performer. And, as if that wasn’t enough, along the way he carried on the family tradition of plastering – as his on-again, off-again “survival” job. Indeed, Johnny Potenza is nothing if not a survivor.